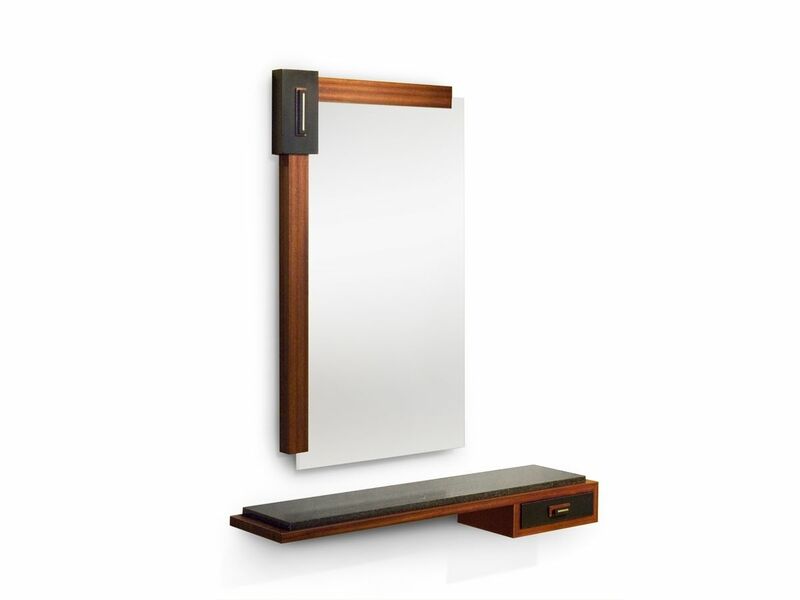 Mirror: Natural or stained ribbon sapeli frame with jet black corner black and copper, brass, or silver metal accents. 1/4" mirror. Open grain finish on all wood surfaces. 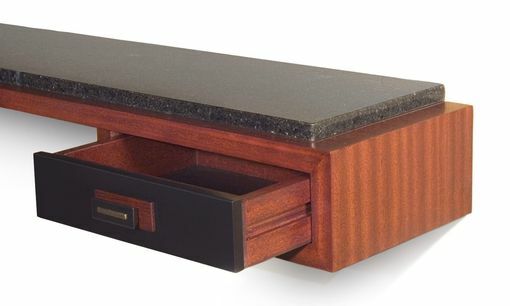 Console: Natural or stained ribbon sapeli shelf and cabinet with jet black maple top and drawer front. Solid mahogany drawer. Copper, brass, or silver metal accents. Open grain finish on all wood surfaces. Chestnut Brown Ribbon Sapeli with Black and Brass Detailing.